We are a registered charity and very proud of our ethos and facilities. The club has a wonderful family feel to it with many staff that have been with the club for many years. 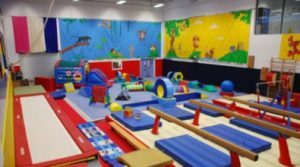 The bright vibrant colours in the gym and varied equipment is a huge draw to the 650 children and parents that attend weekly sessions from all areas of Milton Keynes. In 2006 we were famously awarded sports club of the year for the whole of Buckinghamshire – being the only gymnastic club to reap such a prestigious high award. We have also gained SportMK awards of team of the year in Milton Keynes and many other awards for individual successes. We depend on business people or kind individuals to make donations to assist the club with its high costs of rent, equipment and re-furbishment costs. We also charge an annual membership fee of £25.00 for each gymnast to assist with these costs. We invest heavily back into the gym and its equipment. 2019 will see the club enter it’s 20th year.